For small to medium size workpieces up to Ø 380 mm or Ø 130×350 mm between centers. Can be equipped with a Siemens 840 SL or Fanuc 32i control. 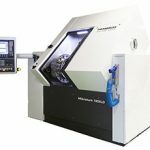 The two Hembrug Slantbed-Mikroturn 100 CNCs continue to be high yield, high accuracy machine tools. 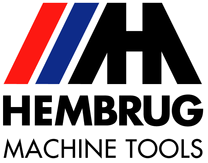 The machines are low maintainance and still producing parts to the highest degree of measurement accuracy. Sealed type direct linear slide measuring system -Hydrostatic main spindle with a 0.1 µm run-out. 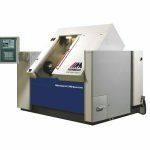 Go to the machine construction page to learn more about the construction of the Mikroturn machine series. This iframe contains the logic required to handle Ajax powered Gravity HB forms.